The 993-generation of the 911 was introduced at the press and trade day of the 1993 IAA Frankfurt Motor Show on September 9, almost exacly at the 30th birthday of the 901/911 (September 12, 1963 IAA Frankfurt). On the display were a silver Carrera coupé and a yellow/black Cup car for the 1994 Porsche Supercup series. Working under Porsche's head designer Harm Lagaay, designer Anthony Hatter is mostly credited for the flowing lines of the 993. It is amazing that with the 964's doors, front hood and roof unchanged, the car can look so different from its predecessor. Technically the car was also enchanced: it got wider track and an aluminium multi-link rear suspension. The type M64 964 3.6-litre engine was modified to give 200 kW (+16 kW over the regular 964). While 964 had mechanical valve tappets that required maintenance, the 993 got hydraulic ones. The gearbox in the 911 finally got its 6th speed for 993 (959 already in 1987 and 968 in 1991). 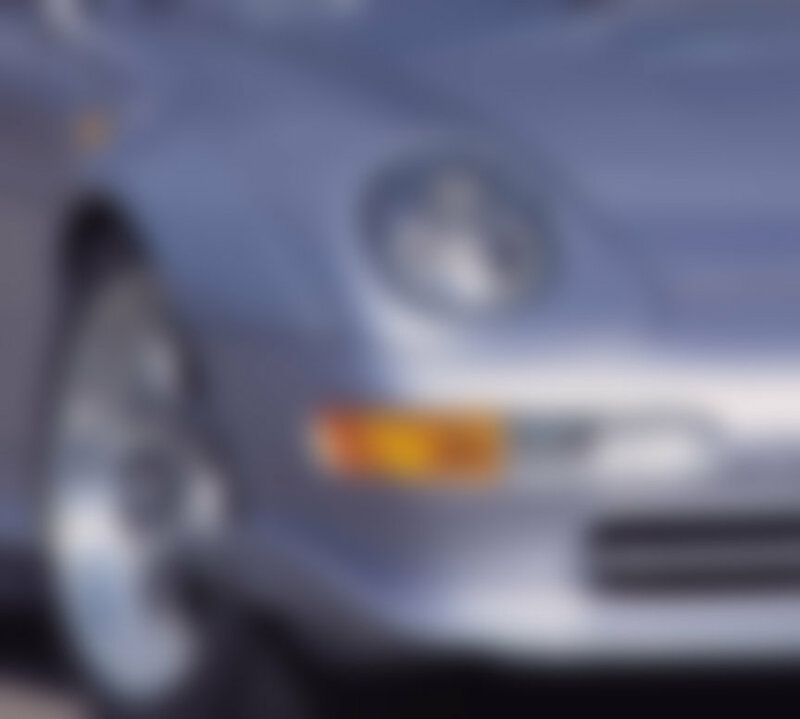 Like with the 964, the Tiptronic automatic transmission was available for RWD cars. 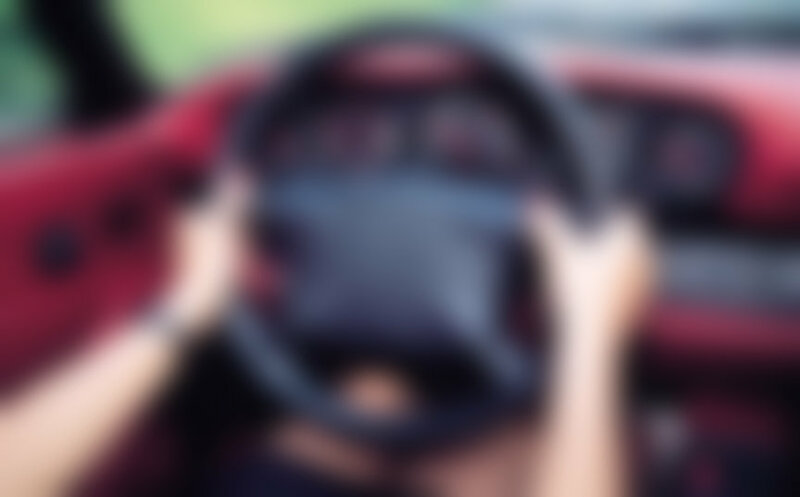 The gearchange buttons on the steering wheel were optional. 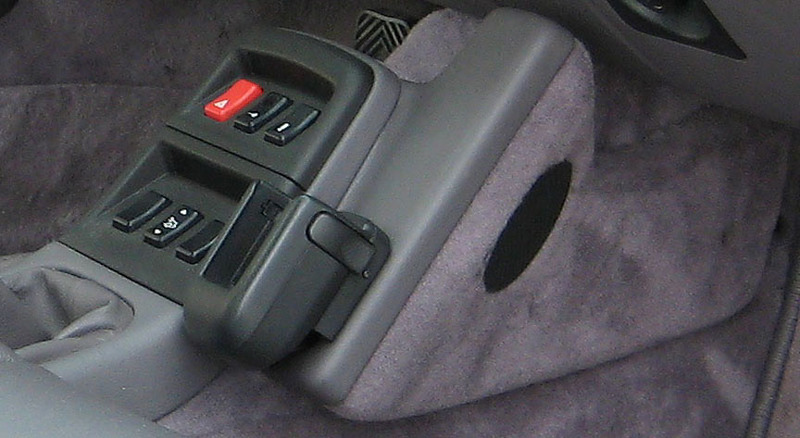 While equipped with them, the gearbox was called Tiptronic S instead of just Tiptronic. As the Tiptronic was carried over from the 964, this lousy box still had only 4-speeds and made the car considerably less agile and slower than the one with the 6-speed manual. But it helped to take over customers from Mercedes - if that can be considered as a goal. Interestingly, the base price of the new 993 was 7% less than that of the outgoing 964. 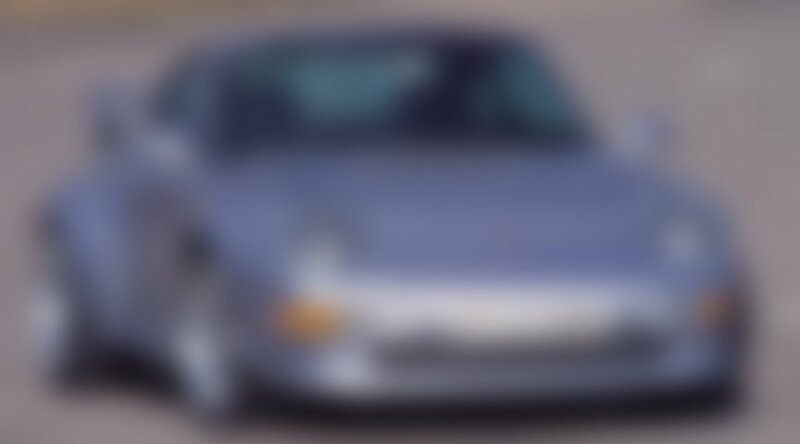 In March 1994, the 993 Cabriolet was presented at the Salon international de l'automobile Geneva Motor Show. 993 Carrera 4 Coupé and Cabriolet were unveiled in October 1994 at the Mondial de l'automobile Paris Motor Show as 1995 models. In MY1995 a 3.8-litre engine was also available under option X51. It had 10 kW more compared to the 200 kW 3.6-litre unit. 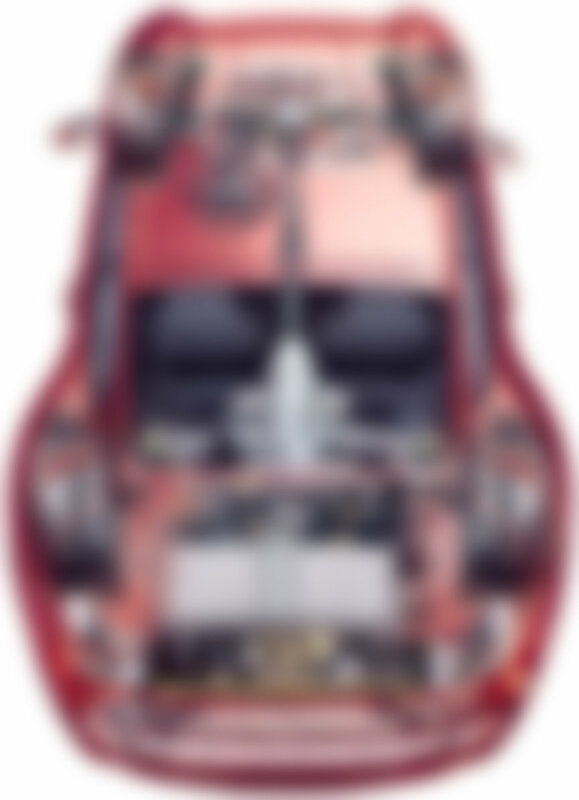 The 210 KW 3.8-litre engine was produced only shortly, for the last model year of non-Varioram engines. 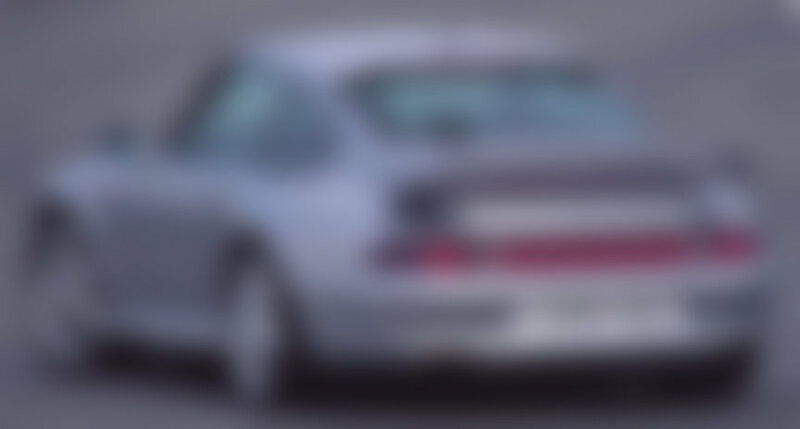 European and American versions had different color turn signal lenses. 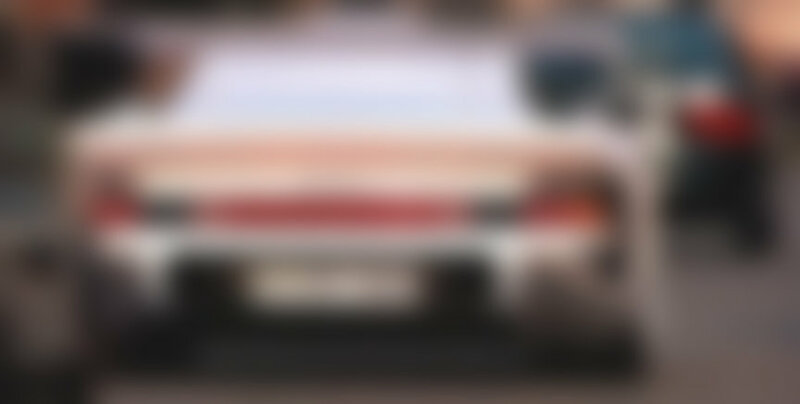 In Europe rear-wheel-drive cars could be told by orange turn signal lenses, while the 4WD models (Carrera 4 and Turbo) had white lenses at the front and red ones at the back. 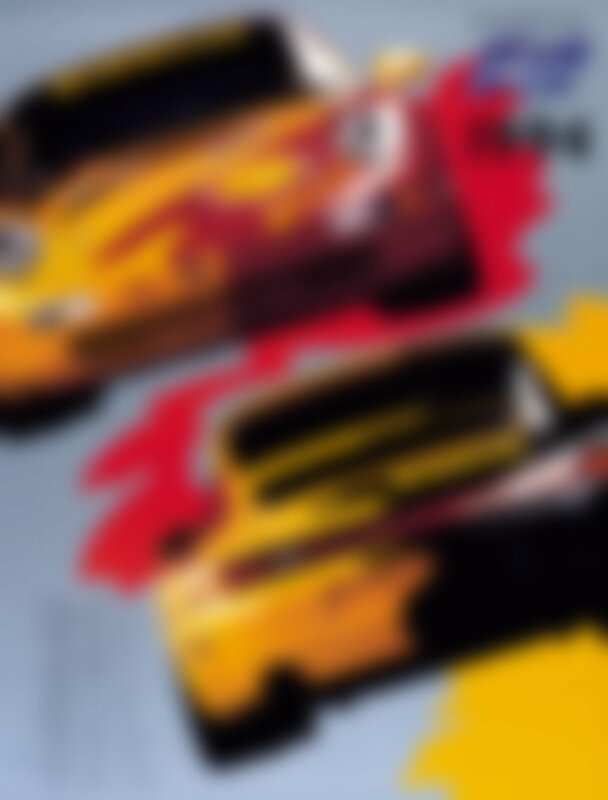 For USA all versions (RWD and 4WD) had orange lenses at front (like RWD cars in Europe) and red lenses at the back (like 4WD cars in Europe). 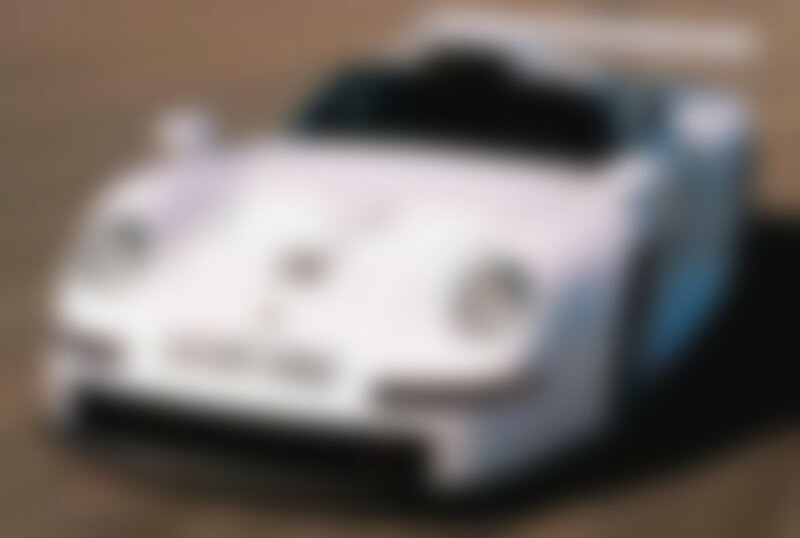 There is a 993 C4 (VIN WP0ZZZ99ZRS310013) in the Guinness Book of Records, having completed the world's toughest 100.000 km test for a sports car. The mega test conducted in 1995 included 2000 km flat out at 168 mph/270 kmh on the Nardo circuit, a 24-hour Arctic test at -31 F/-35 C, a 24-hour drive on a wet salt lake, a 24-hour drive on poor road surfaces at the Weissach test track as well as doing 24 Alpine passes in 24 hours. While the 1994 Carrera Cup races in Germany and France were still ran with the 964 Cup cars, the Supercup was already ran with the 993 Cup cars. 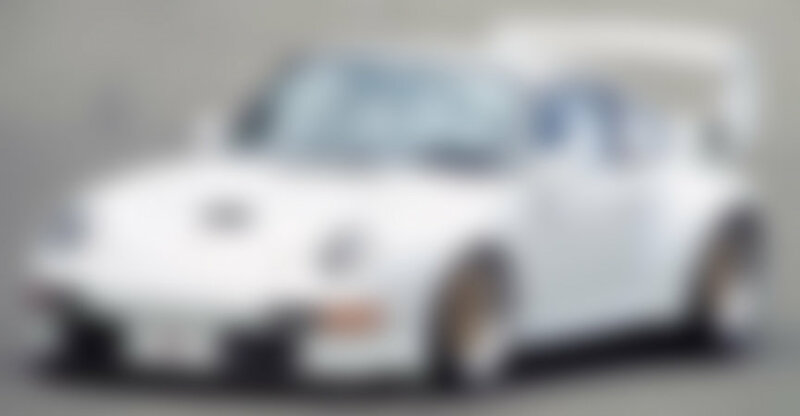 Officially the new Cup cars were called 911 Cup 3.8 (not 911 Carrera Cup 3.8) to distinct them from the previous 911 Carrera Cup 3.6 cars of the 964 generation. In the end of 1994, Porsche introduced its new weapon for the next racing season, the 911 GT (later known as GT2). 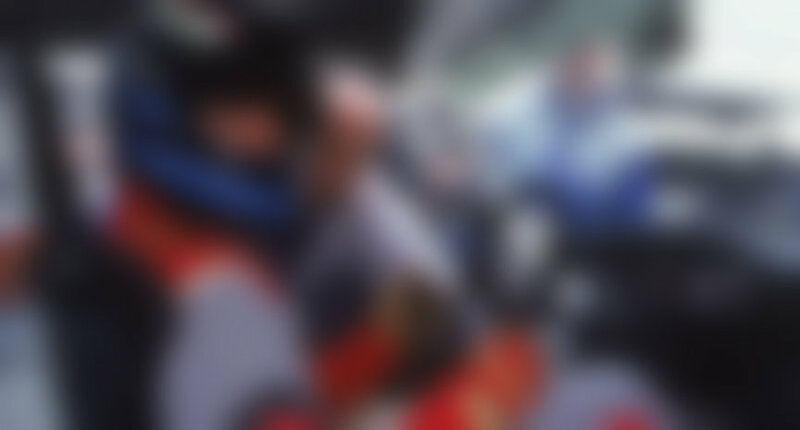 The starting grid of the 1995 Daytona 24H race on February 4 saw two new Porsche 911 GT2s. The event was won by Kremer K8 (based on the Porsche 962). The 993 GT2 #01 of Rohr/Haywood/Murry/Mayländer finished 4th, while the GT2 #74 of Stuck/Grohs/Adam/Jochamowitz/Schroeder retired due to an accident. A month later, on March 9, 1995 at the Geneva Motor Show the guests were - in a good way - shocked by the three new amazing supercars: 993 Carrera RS ClubSport, 993 GT (GT2) street version and the 993 Turbo. The 993 Carrera RS was the street version of the 993 Cup car. Like the 964 Carrera RS 3.8 had 221kW, the 993 Carrera RS also had a 3.8-litre engine and 221kW, but the induction system was different. 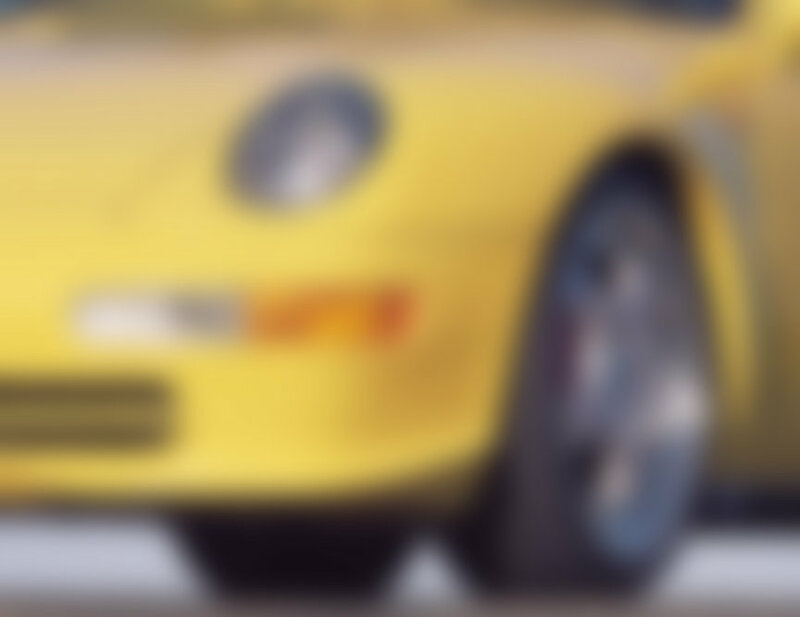 The 993 RS was the first Porsche to have a variable intake manifold system called Varioram. At low rpm. the longer induction tract is good for the torque and at 5100 rpm the vacuum-operated sliding sleeves in induction manifold shorten the intake-runner length for better high rpm output. The Varioram was added in order to make the car more enjoyable for everyday drive, so you don't have to keep high rpm all the time. 993 Carrera RS specs: aluminium front lid, limited-slip differential with 40% locking value under load and 65% under deceleration, adjustable stabilizers, adjustable suspension height, 3-piece Speedline wheels 8+10x18", tyres 225/40 and 265/35, 92L fuel tank, empty weight DIN 1270 kg/2800 lb, 0-100 kmh/62 mph 5.0 seconds, top speed 277 kmh/172 mph. Optionally available were the stereo, airbag, air conditioning and spoilers of the Clubsport-version. The equipment of the Clubsport version was even more Spartan than that of the basic RS. The interior is painted in the colour of the bodywork, without any trims or sound deadening material. 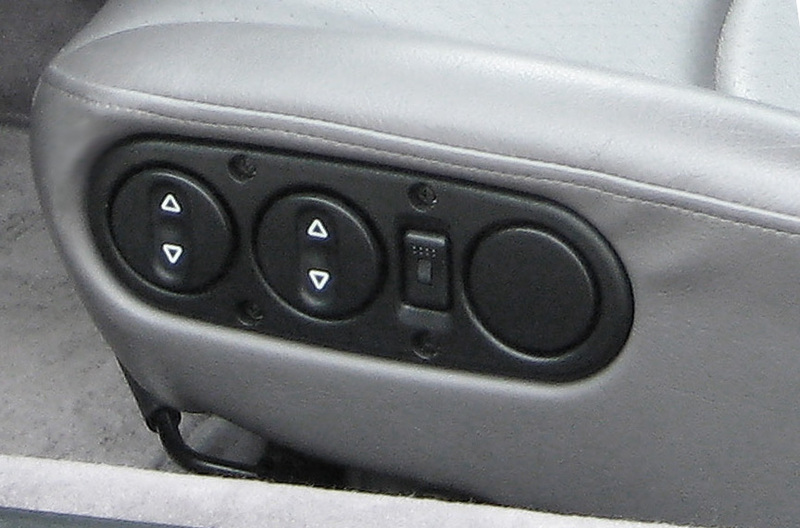 The double-mass flywheel is not fitted and an airbag is only available as an extra-cost option for the driver`s side. ClubSport has different front and rear spoilers in addition to the welded roll cage, a cross brace, inflammable cloth bucket seats with six-point belts, a main battery switch and a fire extinguisher. The rear wing is adjustable between 0 and 12 degrees. 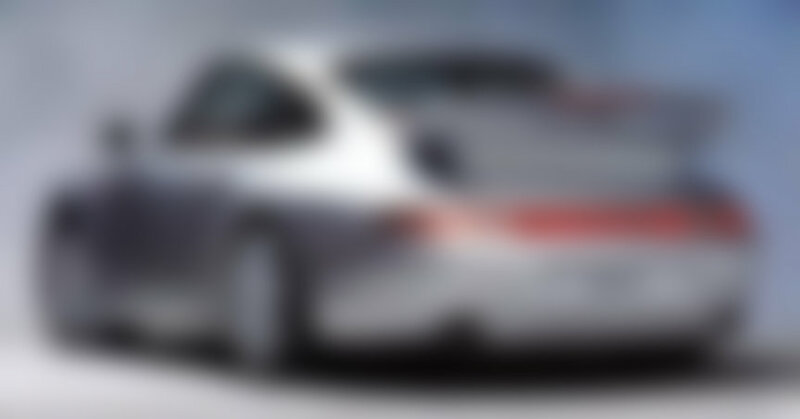 The brightest highlight of the 1995 Geneva motor show was the introduction of the 911 993 GT (GT2) street version. The GT2 was basically a widened Carrera RS with new twin-turbo engine. LSD had 40%/65% lock as on Carrera RS. The front stabilizer provided five positions, the rear one three. Brake discs were 322 mm front and rear, The three-piece Speedline wheels with magnesium center pieces were 9+11x18". Servo assistance was retained, but a more direct steering ratio was chosen. Fuel tank was 92L on LHD cars and 73L on RHD cars. The body received additional strengthening. 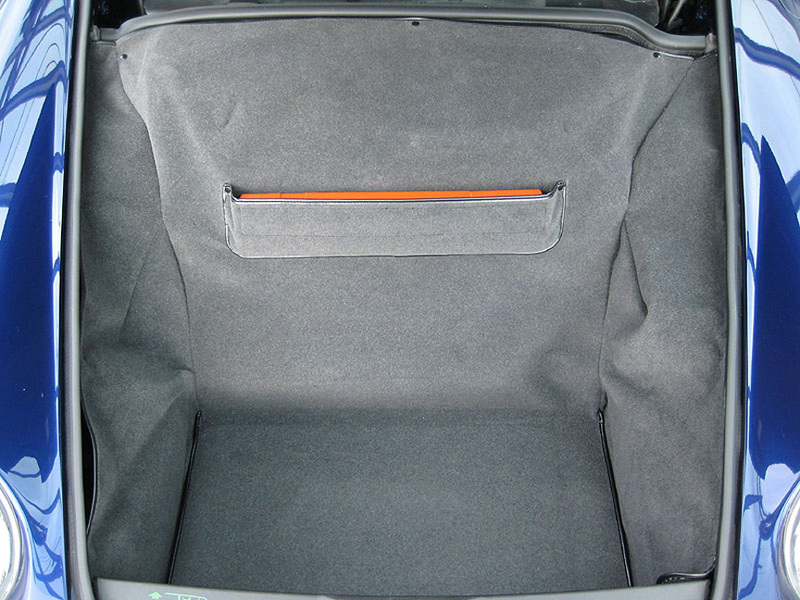 Luggage compartment lid and doors were made of aluminum. The fenders had bolt-on plastic pieces in order to accommodate the wide tyres and to help ease the repairs. Window cranks and mirror adjustments were mechanical. Sun-moon-roof was naturally not available for the Carrera RS nor the GT2. AC and even airbag was optionally available. Trim panels and soundproofing materials were largely eliminated. 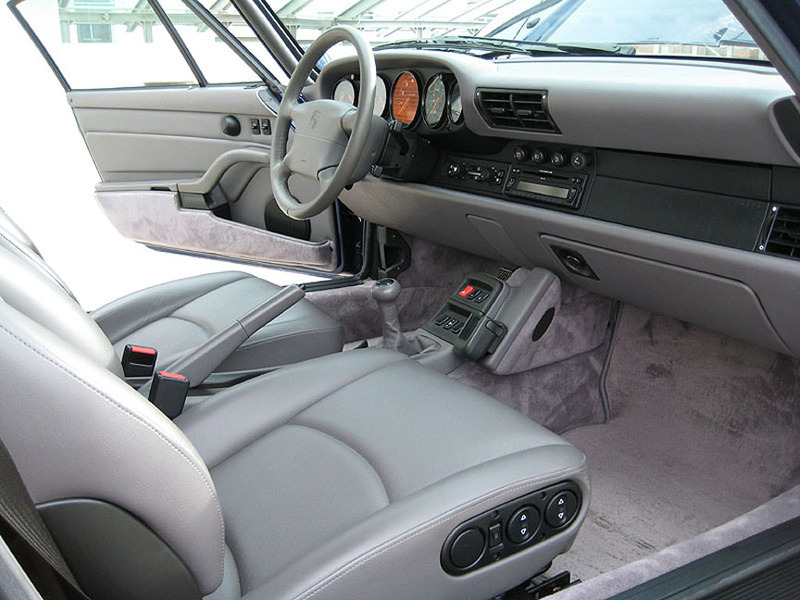 Interior trim was similar to the Carrera RS. The steering wheel was made for Porsche by Momo. On the carpet of the rear bulkhead panel was an embroidery saying 'GT' (not GT2), Bucket seats were in black and dark-gray leather. Exterior colours available were standard solid colours. 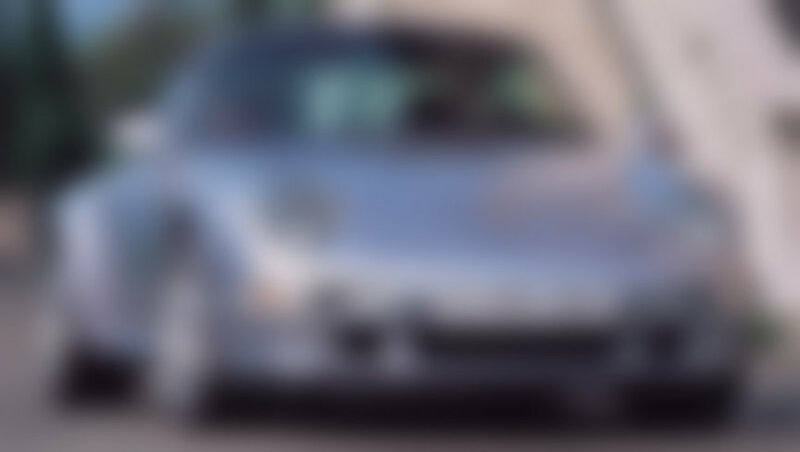 Non-ClubSport models were additonally available in Silver and Midnight Blue metallic. The ClubSport package included racing wheels, roll bar, six-point harness, main battery switch, fire extinguisher and cloth bucket seats. 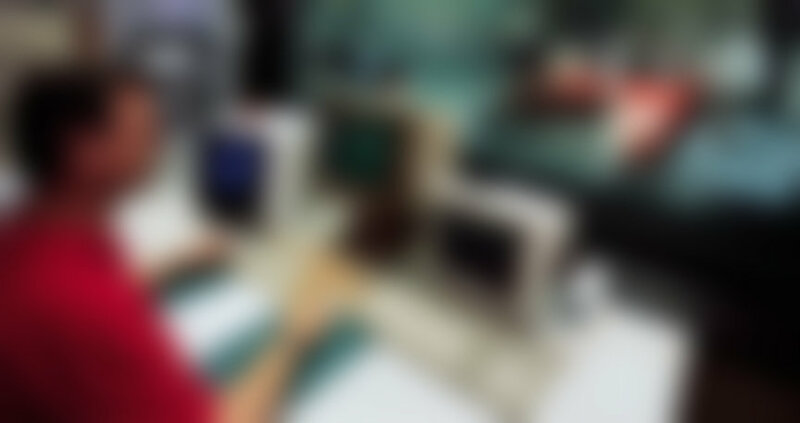 The untrimmed interior was painted in the exterior color. In some countries it was not allowed to register the CS-version as street legal. The 993 Turbo presented in Geneva was different from the 964 Turbos in many ways. The direction was from a widow-maker to a cruiser. Porsche afficionados couldn't praise enough the design of the 993 Turbo, but were not so happy about the fact that the Turbo was now only available with fun-killing 4WD that also added 50 kg/110 lb alone. The 993 Turbo at 1500 kg/3307 lb was 210 kg/463 lb heavier than the street GT2. For better everyday usability, the Turbo had higher ride height, in European version 0.8"/2 cm higher than the GT2. Despite offering more Porsche qualities, the GT2 street version was basically still a racing car that came with harsh suspension and only 2 seats - not something your most important people, your kids, would like. 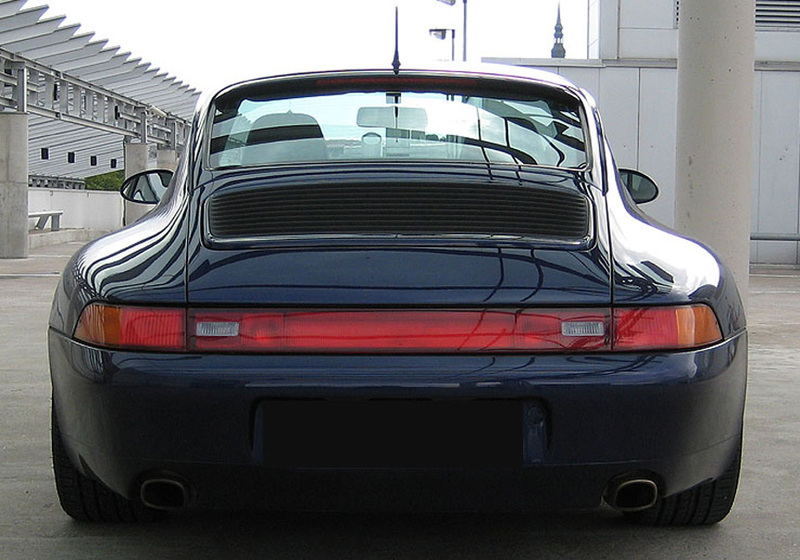 The 993 Turbo had a slightly de-tuned engine of the GT2 producing 300 kW. 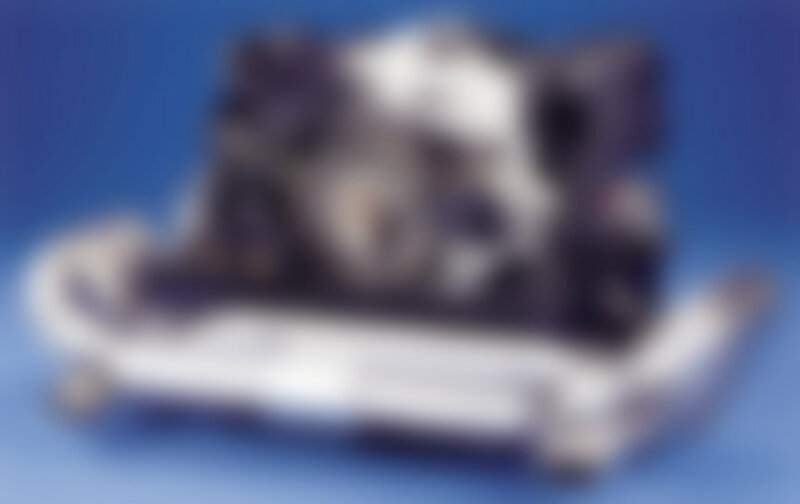 The 316 kW GT2 engine was optionally available for Turbo (known as WLS1 powerkit). 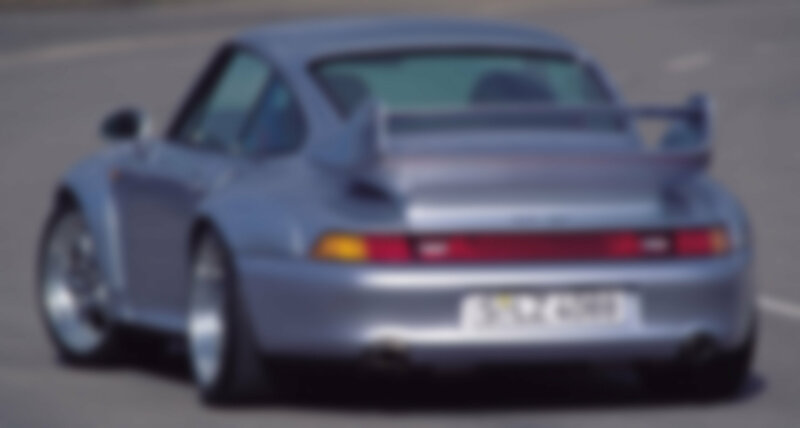 The 3.6-litre GT2 engine (or the 993 Turbo WLS1 engine) included different engine management software and slightly higher boost pressure at 0.9 bar. While the 993 Carrera was already almost as wide as the 964 Turbo, the 993 Turbo was made even 2.4"/6 cm wider (2.0"/5 cm wider than 964 Turbo). To reduce weight the new 18" wheels had hollow spokes. The center pieces and rims were cast separately and welded together giving a significant weight reduction. 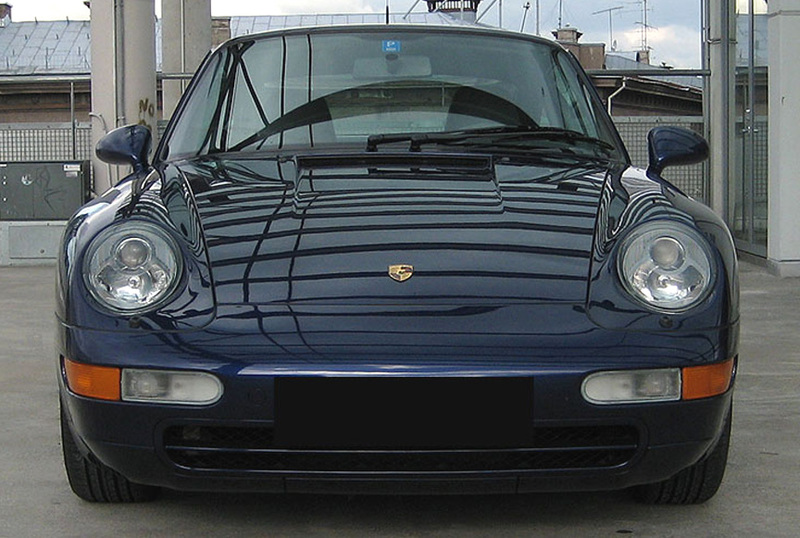 Available for all 993's from around summer 1995 were the Litronic xenon headlamps. 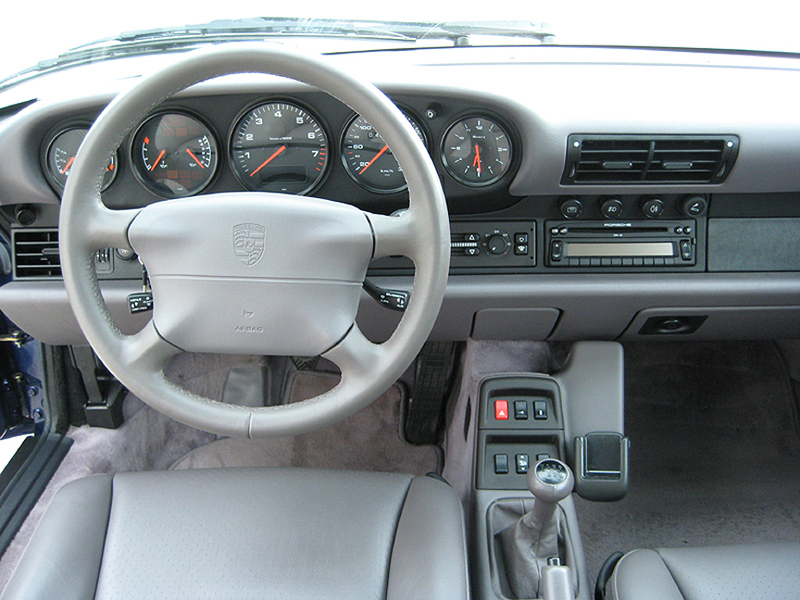 Full leather trim, fully electrical seats and AC were standard in Turbo. 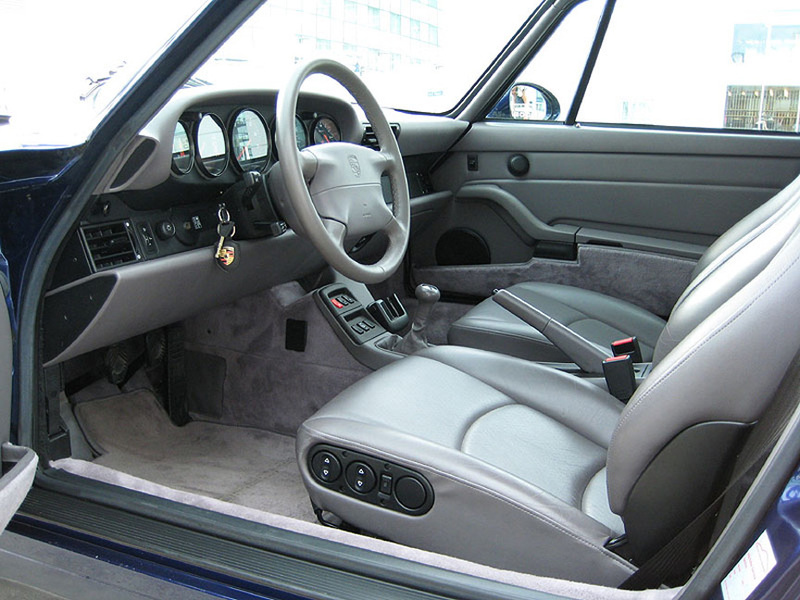 Sports seats, especially developed for the Turbo, were available as a no-cost option. Rear limited slip differential had 25% locking under load and 40% under deceleration. The engine's 300 kW were even 20 kW up from the ultimate 964 Turbo S 3.3. While the old turbo engine had the ancient K-Jetronic fuel injection system, the 993 Turbo finally got the electronic fuel injection (note that 911 Carreras got it already in 1983, not speak of the seventies 914). Thanks to two relatively small turbochargers, the turbo lag was reduced and at 2500 rpm the engine already developed 450 Nm, or 83% of the maximum torque of 540 Nm. The Turbo accelerated to 100 kmh/62mph in 4.5 seconds (GT2 4.4 sec. ), 1 km was passed after 23.0 seconds and the speed stoped to increase at 290 kmh/180 mph (GT2 295 kmh/183 mph). 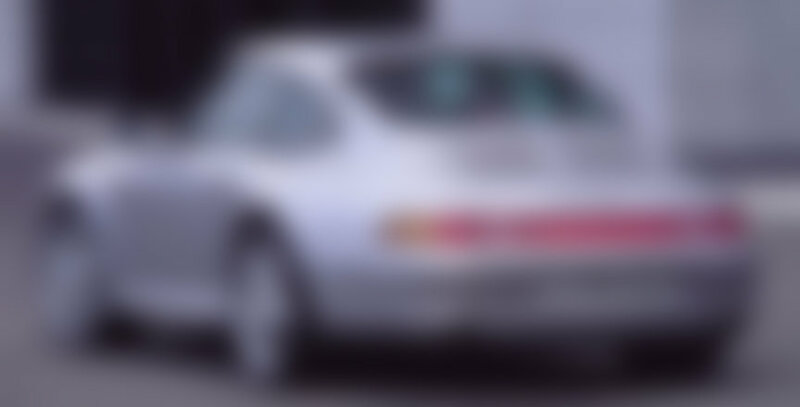 Although the 993 Turbo Coupé was introduced in Geneva in March 1995 a back-door project was going on in Porsche's Exclusive department at the same time. Starting from May they made around twelve 993 Turbo Cabriolets. 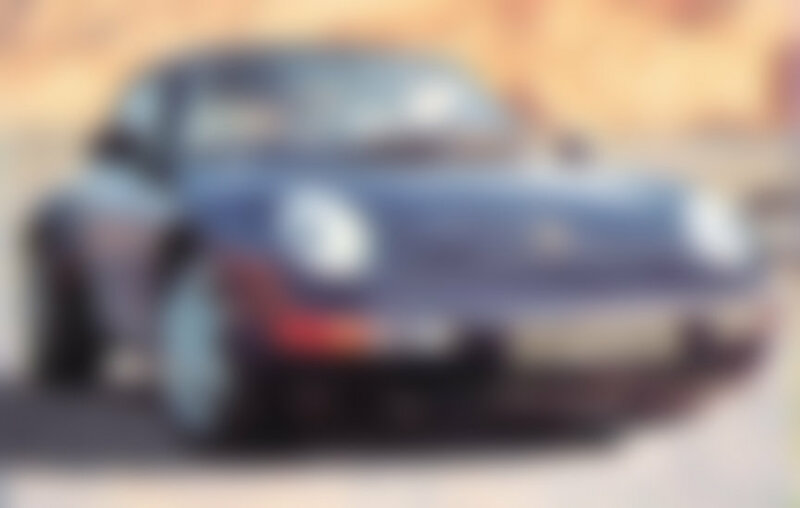 The body was a narrow Carrera Cabriolet body mated with the mechanicals from the 964 Turbo 3.6 (engine, brakes, wheels), so it was a single-turbo 993 and also the only RWD 993 Turbo. Although the Turbo Coupé was introduced earlier, the actual production started after the Turbo Cabriolets were sold. 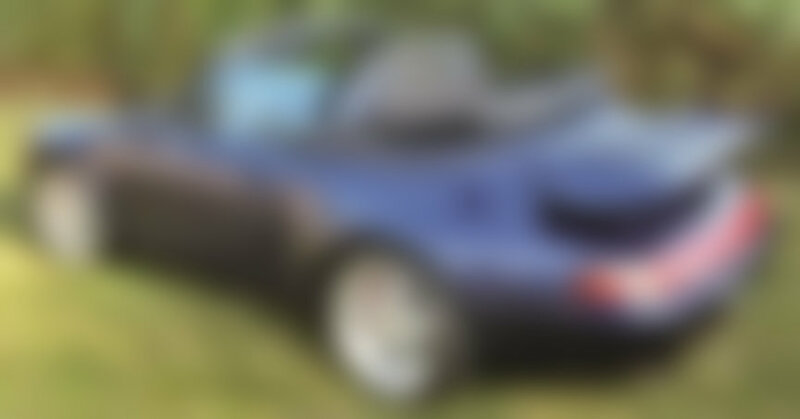 Turbo Cabriolets were 1995 models by VIN and Turbo Coupés were immediately produced as 1996 models although the 1996 model year had not yet started. May 14, 1995 saw Paris 1000 km won by a 993 GT2 of Muhlbauer Motorsport driven by Stefan Oberndorfer and Detlef Hübner. 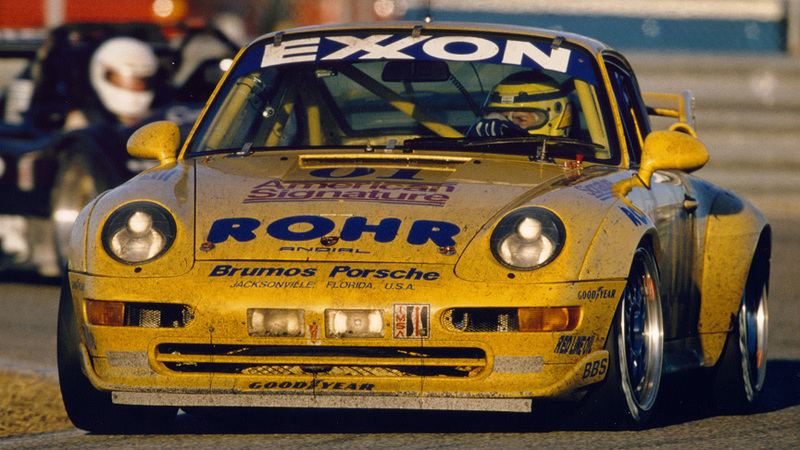 Another notable 993 achievement in 1995 was the Pikes Peak hillclimb victory by Jeff Zwart in a 993 Turbo. Starting with the model year 1996 in August 1995, the Carrera 3.6 engine got the Varioram induction system known from the 993 Carrera RS 3.8-litre engine. It increased low rpm torque a bit and added +10 kW resulting in top speed increase of 5 kmh/3 mph (993 C2 Coupé from 168 to 171 mph/270 to 275 kmh). IAA Frankfurt motor show in September 1995 saw the unveiling of the 993 Targa and 993 Carrera 4S. As 1996 models, they naturally came with the Varioram engine. The 911 Targa was hinged on the wall so the guests were able to see the all-glass top (the car was later exhibited the same way in the Porsche Werkswagen salesroom in Zuffenhausen; it was not for sale and might still be there). For conviniency the large glass roof panel comes with a shade. The Targa has the body of the cabriolet with the Targa glass roof replacing the fabric roof system. The Targa was equipped with distinctive 2-piece 17" wheels. Like with the cabrios, the Targa-roof always makes some noises on rough roads, so it is not as solid and quiet as a coupé. But it sure looks good and is special, not only because less than 5000 were made. Targa was offered only with RWD, although a 4WD protoype was also made. Also introduced in Frankfurt in 1995 was the 911 Carrera 4S, a poser's version of the 911 - a Turbo body without the turbo power. The C4S came with the Turbo's wide body, but without the Turbo's rear wing. It came with the Turbo's brakes and the wheels also looked like Turbo's, but they were made as cast alloy one-piece wheels, the spokes were not hollow. So the wheels were heavier than those on the Turbo. For the MY1996 the Carrera RS 3.8-litre Varioram engine was available for 993 Carreras under option X51 (please note, a year before the same option code showed the 3.8-litre non-Varioram engine). 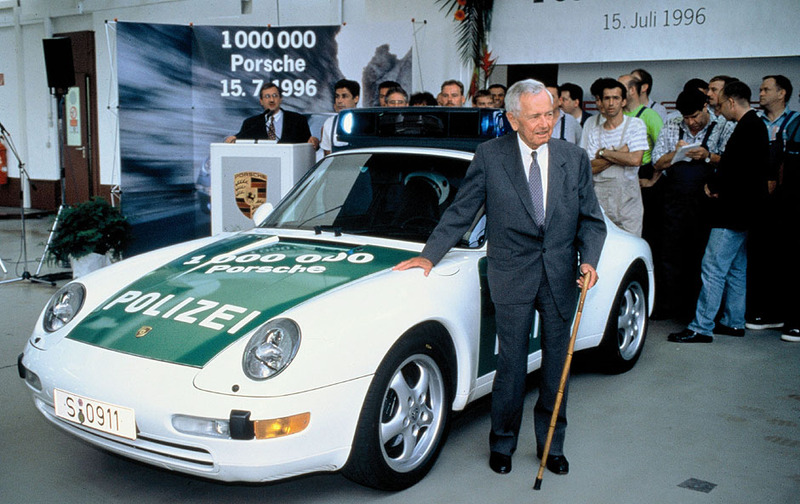 On December 11, 1995, a man who designed the original 901/911, Ferdinand Alexander Porsche, celebrated his 60th birthday and the present from Porsche AG was a one-off 993 Speedster. 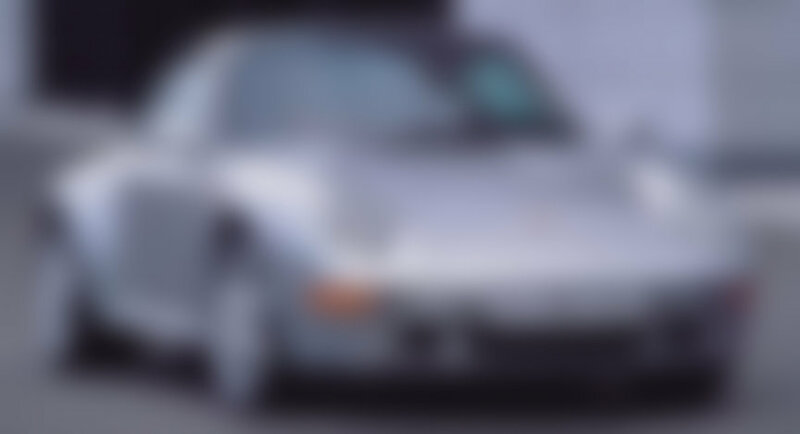 In 2000 Porsche Exclusive built the second 993 Speedster (for Jerry Seinfeld), but that car had born and spent its first years as a Cabriolet or a Targa, not as a Speedster from day one. A video showing the 993 Speedster. 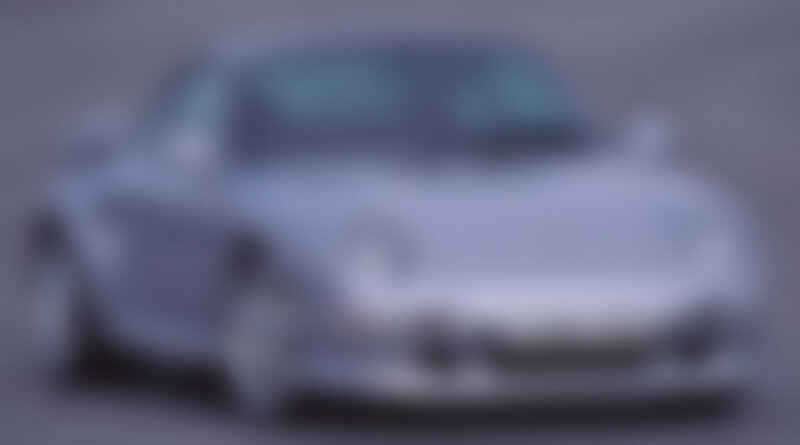 The video was recorded 10 years later, on the 70th birthday of F.A Porsche and 10th birthday of the 993 Speedster. Sadly the presenter behind the camera was not worth meeting this extraordinary man - she even didn't know his name and calls him "Ferry". Ferry was the nickname of F.A. 's father who had passed away in 1998. The world saw the 911 993 GT1 racing car on the Le Mans test day on April 28, 1996. 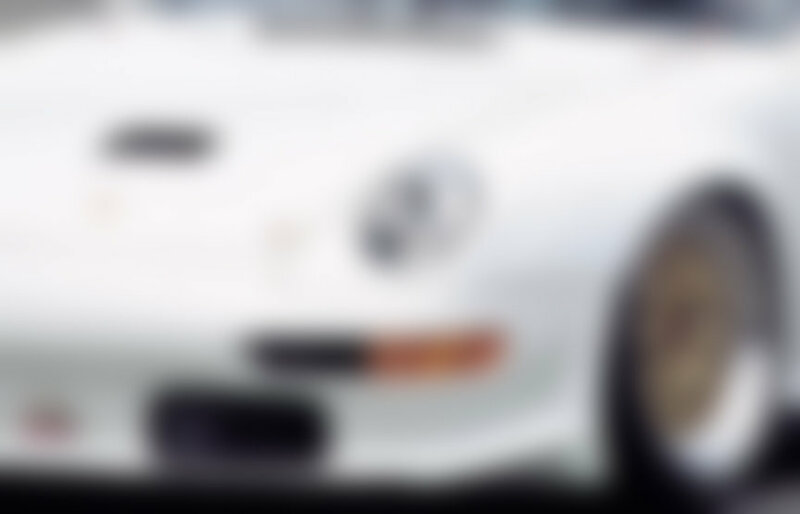 993 GT1 had around 600 PS / 441 kW from its 962 type mid-mounted 3.2-litre twin-turbo flat-6 with water-cooled heads. The gearbox was a 6-speed manual unit and body was made of carbon fibre. For homolgation reason a street legal version had to exist. Actually the rules said the class was for modified street legal cars, but Porsche built the racing car and then created the street legal version of it. Two 993 GT1 street versions were made. For many Porsche enthusiasts it is the coolest and best looking Porsche ever - the no.1 in the dream garage. The Le Mans 24H race on June 15-16 was quite naturally won by LMP1-car, a Porsche-engined TWR WSC95. Second and third place went to GT1 class Porsche 911 GT1s in front of McLaren F1 GTRs (five of them in top 10). 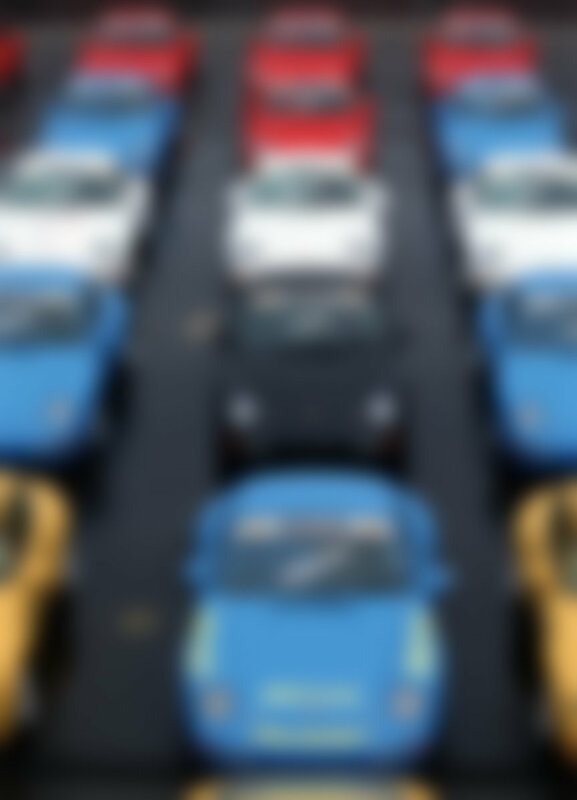 For MY1997 the Carrera S was introduced. With the X51 option it is a rear-wheel-drive 993 with wide body and Carrera RS engine - the dream car for the fans of normally aspirated Porsches. While the Carrera 4S Coupé had the Turbo brakes and rear axle, the Carrera S Coupé had the standard Carrera brakes and rear axle, which was compensated with wheel spacers. Although a Carrera S Cabriolet was never offered by the factory, a few new 993 Cabrios were converted to widebody cabrios by Beverly Hills Porsche dealer and sold as new cars. Other news for MY1997 included the WLS2 powerkit for 993 Turbo. WLS2 replaced the earlier WLS1. While the 316 kW WLS1 powerkit was just a chip-tuning and increase in boost pressure, with the 331 kW WLS2 came the K24 turbochargers (instead of K16) and twin ignition was added (standard on all normally aspirated 964 and 993 Carreras). Please note, both powerkits had the same option code X50. To boost sales, highly equipped versions at better price were offered, called the 911 993 Turbo S. The European version came with the 331 kW WLS2 and the US-version with the 316 KW WLS1 (WLS1 was discontinued for European models). For MY1998 the GT2 Street-version got the WLS2 powerkit with 331 kW which raised the top speed from 183 mph/295 kmh to 186 mph/300 kmh. 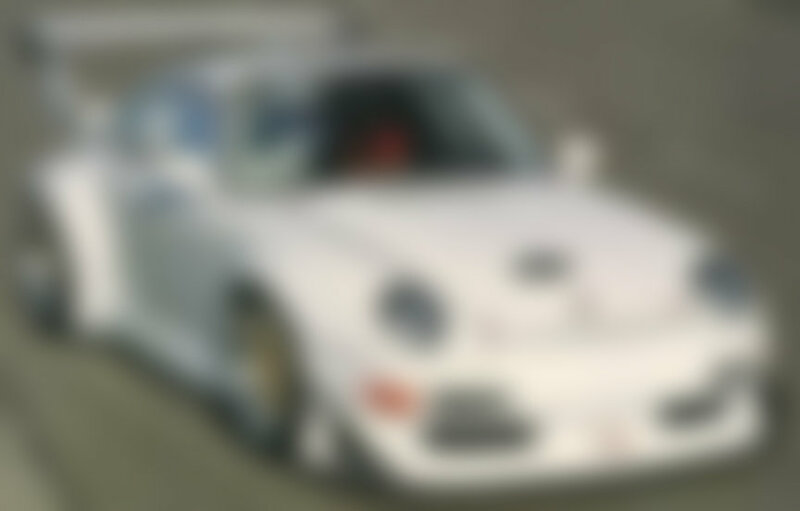 The GT2's racing-version received already third evolution (4 versions together with the original '95 car) and a new model, a 993 Cup RSR was created. A tuned version of the normally aspirated Cup 3.8 engine was planted into the GT2 body. Only two were made. 0-62 mph/100 kmh Manual 5.6 sec., Tiptronic 6.6 sec. Manual 5.4 sec., Tiptronic 6.4 sec. Manual 5.4 sec., Tiptronic 6.4 sec. 5.5 sec. 5.3 sec. 5.3 sec. 4.9 sec. 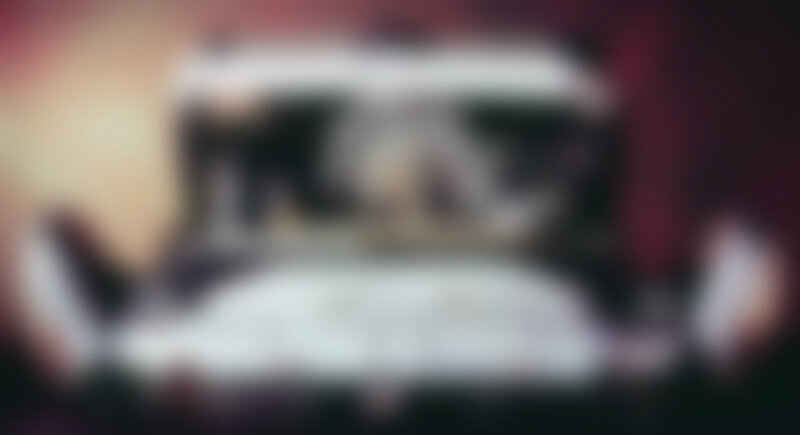 4.5 sec. 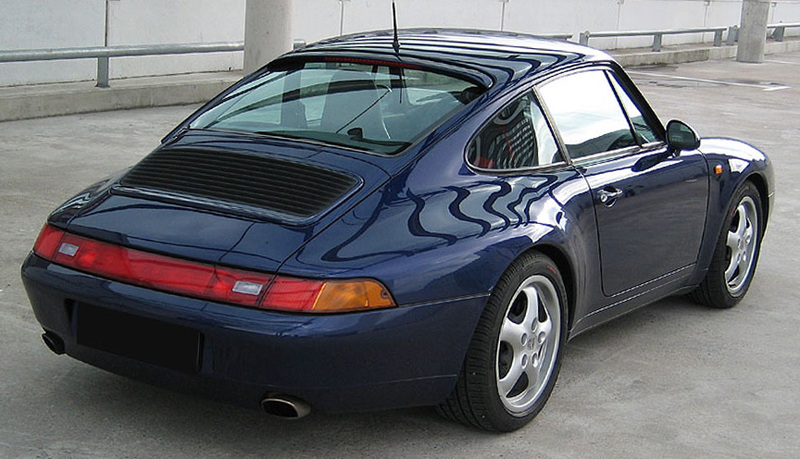 The 993 was the last air-cooled 911. It has an exhaust sound later models couldn't meet. 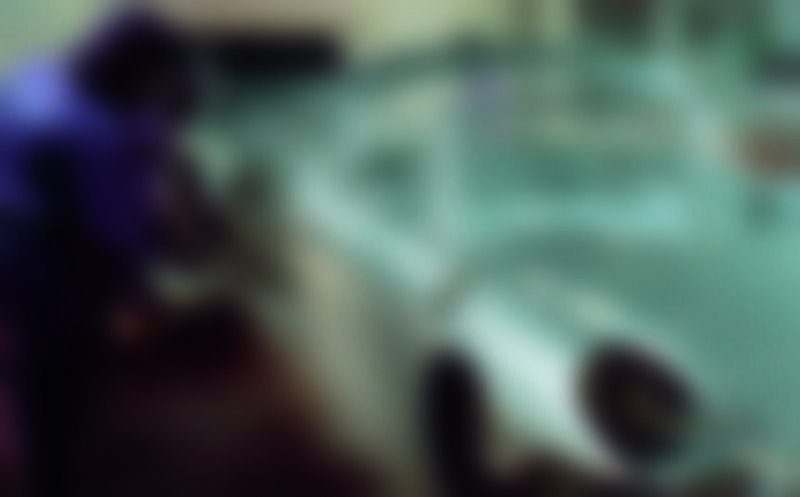 And the design, for sure, cannot be beaten. 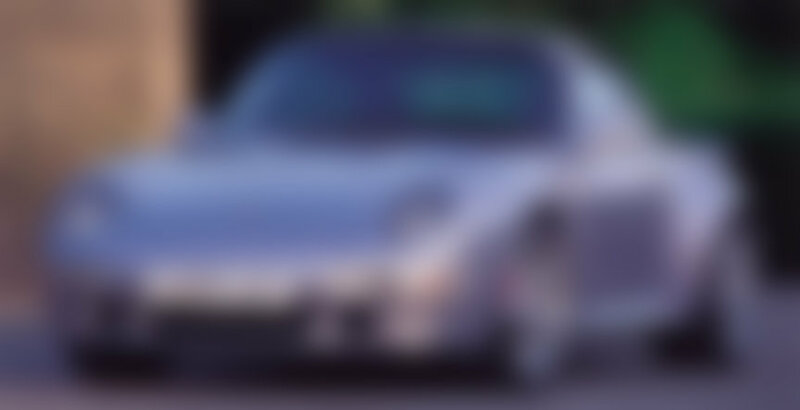 The productioin of the next 911, the 996 Carrera, started in September 1997, but the special versions of 993 were in production until March 1998. Dr. Ing. 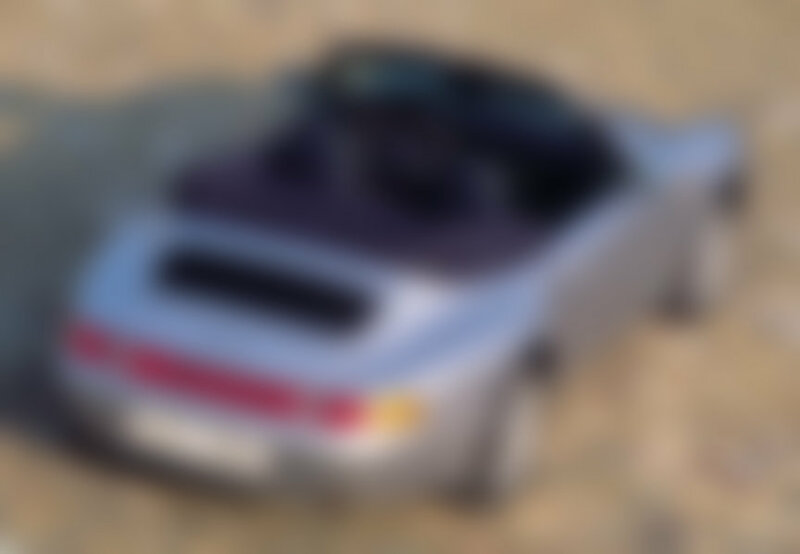 h.c. F. Porsche AG is checking the roof mechanism worldwide on 18,165 units of the 993-series 911 Cabriolet built in the period from 11 August 1993 – 26 January 1998. 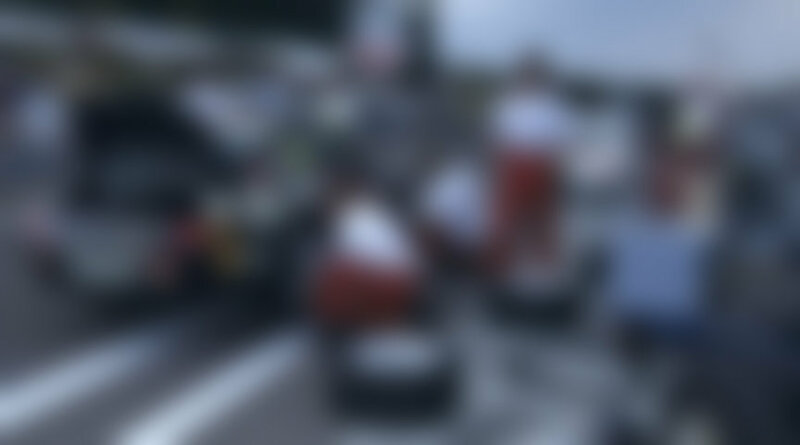 This involves 8,252 cars in Europe (6,003 in Germany) and 8,952 cars in the USA. The reason for this inspection is the possibility of the soft top opening inadvertently at high speeds. When two cases became known in Germany, a crack was found in the drive gear of the roof locking motor. Porsche then decided to check all models of this type for reasons of safety, not only inspecting the alignment of the roof and the correct position of the roof attachment pins, but also replacing the two roof locking motors serving to firmly fasten the soft top above the windscreen frame. The new electric motors feature a stronger, reinforced drive gear locking the roof in position, and new sensors provide a safe and reliable warning signal in the instrument cluster whenever the roof is not properly closed.